Layered cookies dipped in Ice Cold Milk with a Hint of Creamy Strawberry and Drizzle of Caramel! Comes in a paper box. The Second e-Liquid to come from Mad Hatter e-Liquid, A Caramel, Strawberry Cookie with a Dash of Ice Cold milk is its description...and its physical flavoring is Just a deep dark nasty very synthetic Caramel flavor that once you have one vape on this stuff, the flavor will not leave your mouth!Its Disgusting and No amount of steeping Improves it, in fact the flavor gets deeper and richer and its not palatable at all...Maybe! 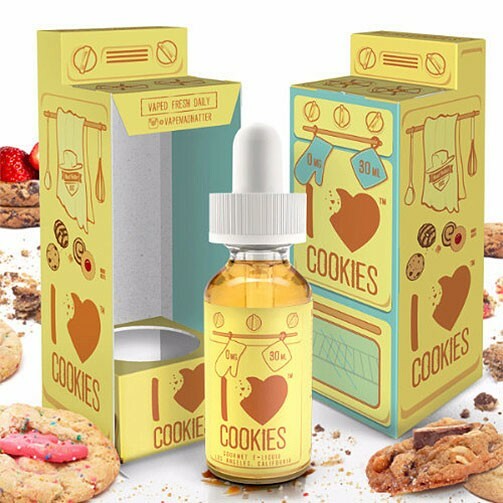 just Maybe if you like Tobacco Flavor e-Liquids then you may like this, but the sweet toothed Fan, this is one to avoid. Good vapor production, little to no throat hit, very candylike, strawberry cream much like a frosting right away, with a light bakery cookie like note, then a very wierd caramel finish that I don't care for. I wish that they just got rid of that caramel then this could be an adv for me. However the more I vape it the more I like it, it is very strange indeed.